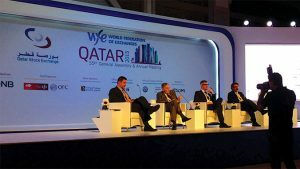 A report from the WFE annual meeting in Qatar. Stock exchange leaders, policymakers, regulators, investors, and corporates all gathered in Doha, Qatar, for the World Federation of Exchanges (WFE) annual general meeting in October. The Qatar Stock Exchange (QSE) served as host for the event, and QSE leader Rashid al-Mansoori set an ambitious tone from the opening keynote. The WFE represents virtually every public stock, futures, and options exchange on the planet. Over 44,000 companies representing a total market cap of $64 trillion (trading value of $76 trillion) list on WFE member exchanges. That’s the equivalent of more than 75% of global GDP. Its annual meeting is the largest and most comprehensive of its kind – and this marked the first time in its 55-year history that it was held in an Arab nation. Economic vitality and market growth in the Middle East was another touchpoint for speakers, eliciting supportive comments from the Qatari Ministry of Economy & Commerce, IOSCO (International Organisation of Securities Commissions), and multiple exchange executives. Nasdaq Vice Chairman Sandy Frucher, a WFE board member, presented his case for making exchanges more active in the promotion of sustainable business practices. Perhaps the first industry attempts to take sustainability seriously came in the form of the UN Sustainable Stock Exchanges (SSE) initiative, which has been driving towards consensus on this topic for several years. The SSE recently published its Model Guidance on Reporting ESG Information to Investors: A Voluntary Tool for Stock Exchanges. That document is not necessarily advocating a new listing requirement, but rather aims to provide exchanges with a globally consistent base to start from as they work to create their own, locally customised, voluntary guidance to help their issuers meet investors’ need for ESG information. WFE Recommended Sustainability Disclosures (as identified in a recent publication to exchanges). And now, launched after the meeting in Qatar, we have the publication of the WFE’s own Exchange Guidance & Sustainability Recommendation. The WFE document provides a useful and necessary starting point for exchanges, because strategic and transparent ESG practices can be as beneficial to exchanges as they are to individual companies. This document was the culmination of the work of the WFE Sustainability Working Group (full disclosure: I served as the group’s chairman for two years). The recommendation focuses on principles and data, with correlating bottom line impacts, but it also politely advocates for improvement and harmonisation in management practices. It also includes a selection of Material ESG Metrics, which call attention to 33 indicators across Environmental, Social, and Governance (ESG) categories that may well be of utmost concern for exchanges. WFE Chairman Juan Pablo Cordoba, CEO of the Bolsa de Valores de Colombia, used the occasion of his concluding remarks to praise the Qatar venue and also highlight some of the challenges that exchanges face. 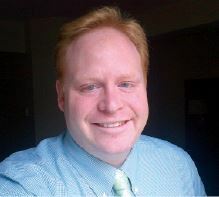 The proper role of sustainability in this “constructive phase” is still being debated. As listing venues, exchanges must serve the needs of public companies. Overregulation tends to crush the entrepreneurial spirit and may make companies less willing or able to capitalise on opportunities. The constant churn of filings, disclosures, statements, applications, and surveys may distract businesses from meeting long-term goals, but a lack of regulatory control emboldens bad leaders to grow into bad corporate citizens.